It's been a good year for fans of Frank Herbert's Dune. 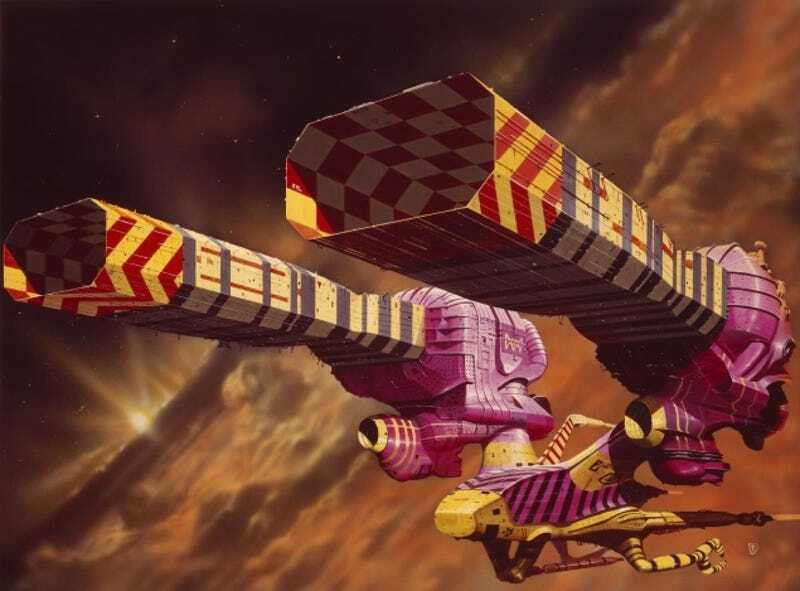 First came the release of the award-winning documentary Jodorowsky's Dune, and now comes the re-issue of a forgotten cult classic, Bernard Szajner's Dune-influenced concept album from 1979. The pioneering French electronic musician — Szajner goes by the name Z on this album — put Visions of Dune together as a kind of interpretive tribute to the scifi classic. Inspired by Terry Riley's minimalist, repetitive music, he transfered synth sounds to tape loops, and then allowed the loops to phase in and out of each other. The result is a continuous blend of thick analogue synth sounds, pads, leads, and bleeping sequences. [A] listener encountering Visions of Dune for the first time might be struck by how immediate it is. You don't need to have read Herbert's novels to appreciate Szajner's undulating electronic compositions. Despite titles that point to characters and themes from the novels and films—"Kwizatz Haderach", "Bene Gesserit", "Spice"—these are not narrative pieces; they're rippling abstractions as sensuous as the curves of actual dunes. Likewise, they require no visual complement to come alive. Szajner may have made his name with phantasmagorical stagecraft, but Visions of Dune, like the best psychedelic music, is itself a planetarium show that plays out behind closed eyelids. Chimes, bells, and zither-like glissandi add to the otherworldly ambience of its raga-like drones, meditative bass pulses, and chilly filter sweeps; open fifths and modal scales scan as vaguely Orientalist, like the Middle East via Mars, while all the rising and falling frequencies feel like metonyms for the cyclical nature of nature itself. You can find the album on Rdio, iTunes, and Soundcloud.